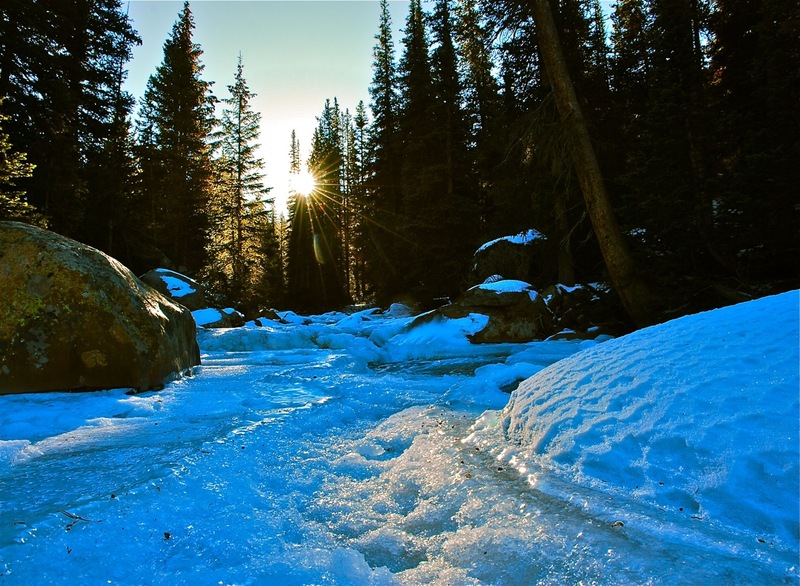 Colorado is known for its natural wonders, from the stark, high mountain peaks to expansive grasslands in the eastern plains. 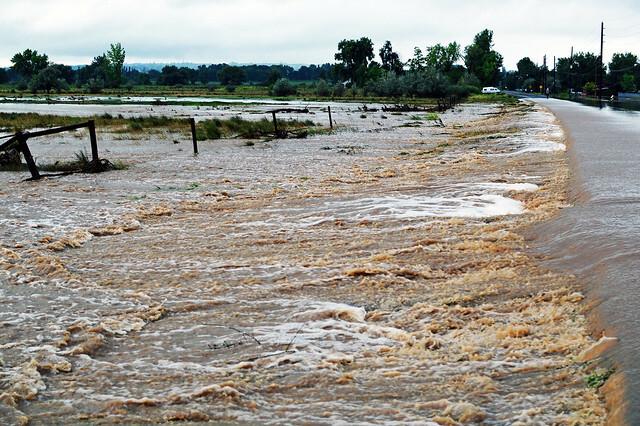 One thing the state is not known for is heavy rainfall, but in 2013 nearly two weeks of torrential precipitation brought national attention to Colorado, as rivers surged over their banks and entire towns were nearly destroyed. The floods damaged thousands of homes. Rising water; photo by Jessa Green. Natural habitats were as much affected as human ones. Some sensitive biomes were drastically altered. Colorado’s riparian environments provide a home to many important, unique species. When rivers rose to 500-year flood levels, these environments underwent dramatic changes–sometimes for the worse. Of course, it is inevitable that floods will impact riparian areas, as they have for centuries. However, human development can exacerbate the effects; manmade structures may amplify damage to watersheds. Colorado has seen a lot of development in recent years, especially in areas near creeks and other drainages. Because of this vigorous development, creek restoration is critical to restoring the riparian habitats in watersheds that flooded. Some habitats been the victims of erosion intensified by nearby human structures. Others have been jammed with trash that washed out of city streets and homes. There are two categories of species affected by the floods. One of these includes fish like the greenback cutthroat trout, as well as numerous amphibians, and encompasses all animals that make their homes in the streambed itself. In some areas, these animals have been saved by their ability to make a happy home wherever the water is cold and well-oxygenated. In others (mostly in the rural areas on the eastern plains), streambed habitats have been quietly devastated by poorly-publicized oil spills and other pollutive mineral extraction events. Cleaning up this kind of flood damage necessitates extensive fundraising, because the work of hazmat specialists is required. The other category of species affected by the flooding includes all animals that make their homes in the vegetation on riverbanks and floodplains. The controversial Preble’s meadow jumping mouse is among them. Species like these were impacted further upstream, where dense streamside vegetation and heavy human development contributed to devastating effects on riverbank habitats. Cleaning up this kind of flood damage will be labor-intensive, but will be easier to accomplish with the help of crowdfunding efforts, thanks to the high visibility and low level of training required to help. Sunrise along Colorado’s Snake River, by Bob Berwyn. Creek restoration is an essential step toward restoring these species’ riverside homes. We cannot completely restore riparian environments to pre-flood conditions; after all, floods were the evolutionary force that shaped many of the species inhabiting riparian biomes today. However, where human structures worsened the flooding or intensified the damage to riparian environments, we can correct the damage with creek restoration efforts. Crowdfunding these efforts can help raise essential cleanup money while at the same time drawing public attention to this important issue.